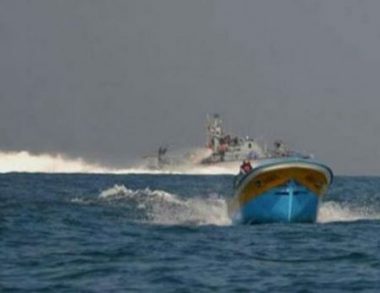 Israeli navy ships opened fire, Tuesday, at several Palestinian fishing boats, while the soldiers fired live rounds at farmers, in the southern and northern parts of the besieged Gaza Strip. Eyewitnesses said the soldiers, stationed on military towers, east of Khan Younis, in southern Gaza, fired dozens of live rounds, east of Khan Younis, forcing the Palestinians to leave. In addition, Israeli navy ships also fired live rounds at fishing boats, in Palestinian waters in the northern part of the Gaza Strip, forcing the fishers to return to the shore without being able to fish and provide for their families. On Tuesday at dawn, the soldiers abducted a female university student from the northern West Bank city of Jenin, and a former political prisoner from Sielet al-Harithiyya town, west of Jenin.